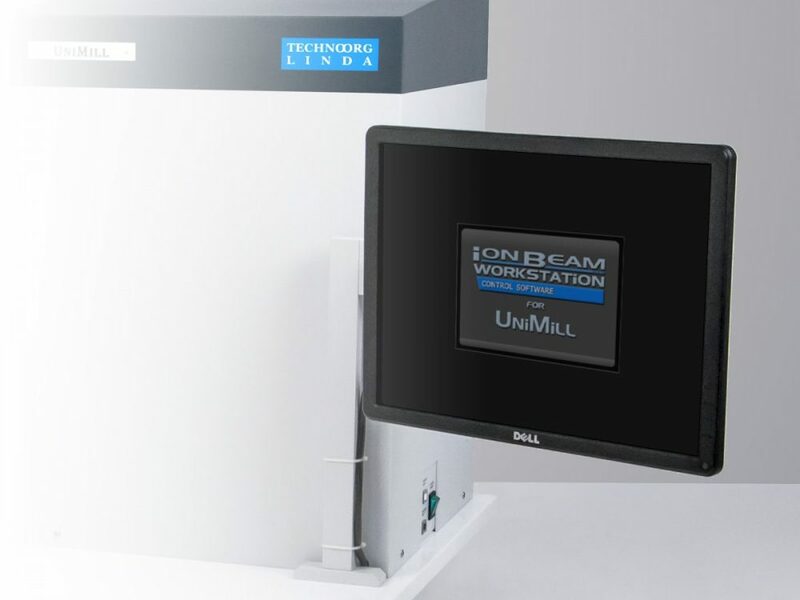 The UniMill model of Technoorg ion mills has been designed for the extremely rapid preparation of high-quality TEM/XTEM samples with an unsurpassed high thinning rate. 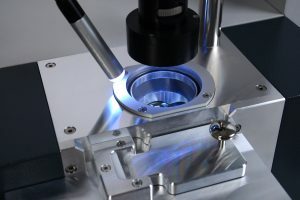 The design of the instrument enables both rapid milling with the ultra-high-energy noble gas ion source and final polishing and cleaning with the patented low-energy ion gun. The only instrument with the widest energy range of ion sources. The highest energy ion source for extremely high milling rate. Featuring a patented low energy gun for gentle cleaning of samples with the same instrument. The UniMill is provided with full computer control utilizing an easy-to-use graphical interface. All milling parameters can be stored or pre-programmed in an arbitrary number of steps. 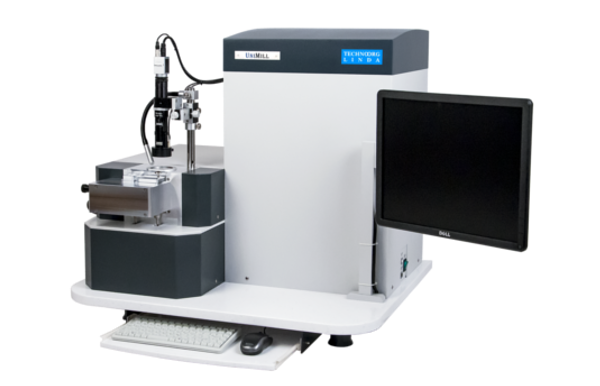 This fully automated feature of the UniMill allows producing high-quality samples with minimum user intervention. 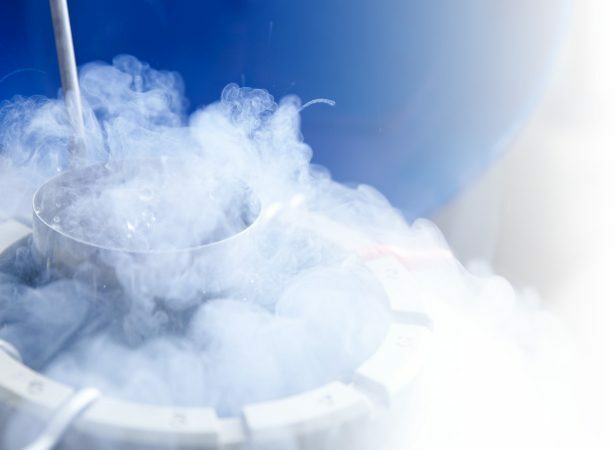 To cover all possible needs UniMill offers liquid nitrogen cooling reduces excessive sample heating during the ion bombardment. 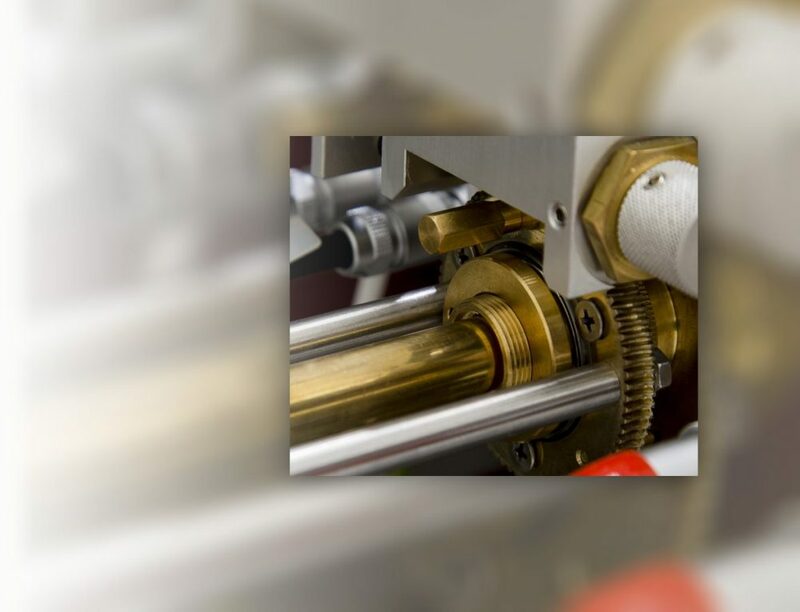 Thus, heat-sensitive materials can be prepared without destabilization of internal structures.